Sydney Town Hall’s newest meeting venue, the Vault, offers a unique experience. 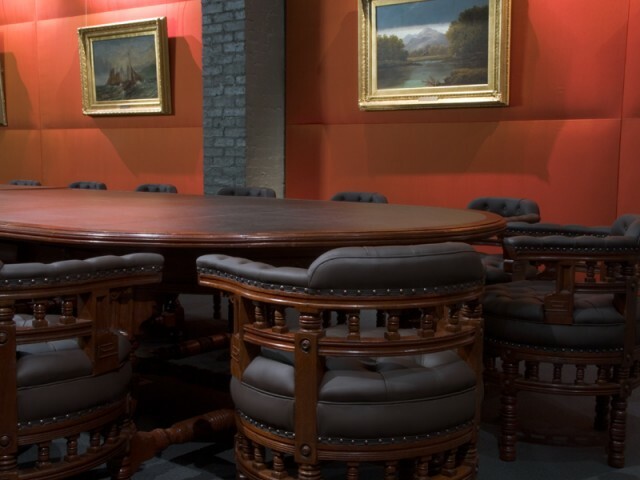 Once a fireproof strongroom, this refurbished space is furnished with the historic Council Chamber cedar furniture and items from the Woolcott Collection. Accommodating up to 16 people seated, with additional room for observers, this space is perfect for discerning groups who appreciate a venue with a difference – and an opportunity to discover some of the Town Hall’s hidden heritage. To ensure that the evidence of its interesting history is not lost, this room has been refurbished to keep original detail including the rough painted brick walls and the strong room door. 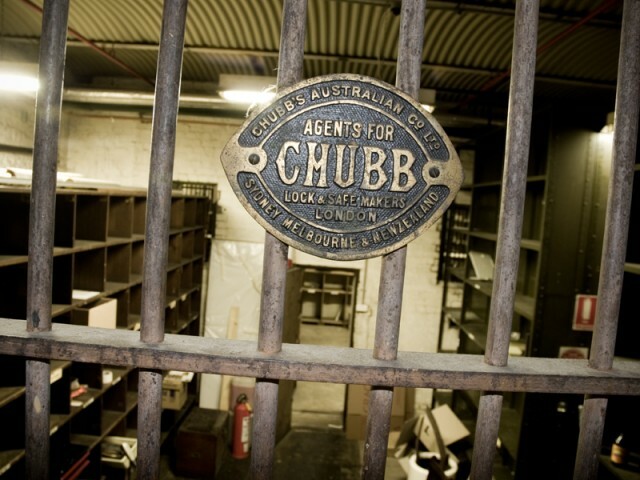 The Vault is furnished with an historic suite of Australian red cedar furniture created in 1883. Designed originally for the Council Chamber the suite comprises the former mayoral chair, tub chairs and upholstered benches around a large leather topped table. Made by William Coleman and Sons to a design prepared by architect John Hennessey, the Aesthetic Movement furniture is decorated with carved motifs typical of this style including sunbursts, roses, and geometric patterns. Paintings from The Woolcott Collection, presented to Council in 1905 by former town clerk, Charles Woolcott, are displayed here. The Vault is available for hire to discerning clients for special meetings on application to the Venue Manager. Visitors using the Vault must accept the conditions of hire and undertake to respect the historical integrity of the room and its contents which represent some of Council’s most significant and historically important furnishings.